Our talented and experienced leadership team is passionate about eye donation, transplantation and eye banking and committed to supporting the needs of our donors, recipients and professional partners. Dean Vavra has 34 years of eye bank experience. 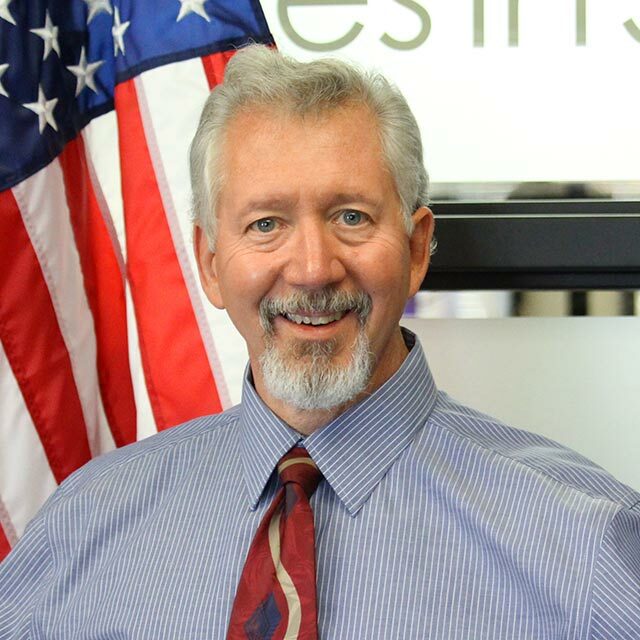 Mr. Vavra started out as a Certified Ophthalmic Technician (COT) leading to his eye banking career, and subsequently held almost every job in an eye bank: Recovery Technician, Technical Director, Hospital Development/Marketing, Chief Operating Officer and Executive Director. Dean has served on the Board of Directors for the Eye Bank Association of America (EBAA) and Vision Share. He has served as the Vice-President of the Rocky Mountain Lions Eye Institute Foundation in Colorado. Dean was the Chair of the EBAA Technician Education Committee, a member of the EBAA Medical Advisory Board, Regulatory Affairs Committee and has served on many other EBAA committees. He was recognized with the 2010 Leonard Heise Award issued by the EBAA “In grateful recognition of Distinguished Service Rendered to the Nation and The World in the Fight Against Blindness.” Dean has a Master’s Degree from Colorado Christian University’s School of Business.